8th Bn, The North Staffordshire Regiment, 56th Brigade, 19th Division, B.E.F. Next of Kin: Son of George and Ann Bishop of 1 Merton Cottages, Merton Road, Malvern. John Bishop was the fourth son of George, a labourer and Ann Bishop of 1 Merton Cottages, Merton Road, Malvern Link. 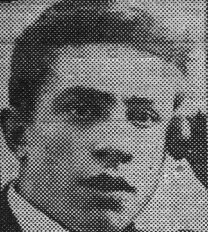 They only received official intimation in July 1919 that Percy Bishop had been killed in action on the 30/5/18 during the German Spring Offensive – he had previously been reported wounded and missing. Before joining up he was employed as a gardener at Prior’s Mount, Malvern.